Your eggs have been removed from your cache and replaced with your rotten eggs! You came back to check on your eggs, but sadly none have hatched. Snake eggs have been removed from your cache! You came back to check on your eggs, and saw that one has hatched! 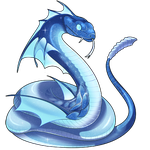 Your egg and wishbone have been removed from your cache, and your ice snake has been added! Your egg and netting have been removed from your cache, and your ice snake has been added! Additional Bonus Items: wishbone from here! 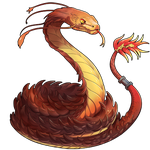 Your snake eggs have been removed from your cache, and your new companion has been added! 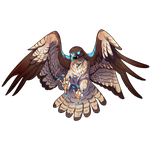 "Members can only have a single egg/shell in the hatchery at any given point. 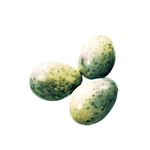 Once the egg is completed they may post additional eggs. (This includes eggs waiting in last months journal!)" You may repost this egg once your other is rolled! Oh! Thought it was one per different type of egg. I'll repost it later. You return to check on your eggs, and see that one has hatched! Your new companion has been added to your cache! Hawk Egg and Wishbone have been removed. You came to check on your eggs, but sadly none have hatched. Your egg and trap netting have been removed from your cache!